NAIROBI – Kenya’s National Tuberculosis, Leprosy and Lung Disease Program (NTLD-Program) announced today that it will roll out child-friendly tuberculosis (TB) medicines across the country from 1 October. From that date, all children diagnosed in Kenya with TB will be treated using formulations that are affordable, palatable, and simple to administer at the correct doses. TB medicines specially adapted for children have been available since 2015, as a result of the Unitaid-funded STEP-TB project. In 2013 Unitaid committed 16.72 million dollars towards the implementation of the STEP-TB project, which brought together TB Alliance, and other partners to develop the first formulations of TB medicines that meets dosage guidelines set by the World Health Organization (WHO) in 2010. 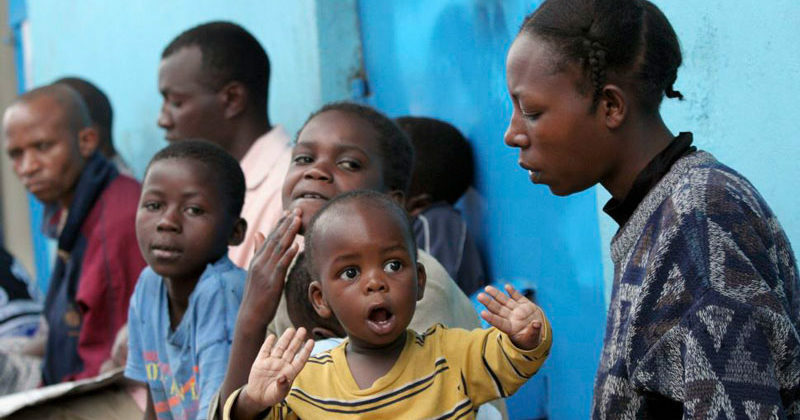 Going forward, Unitaid has identified a new Area for Intervention that looks at scaling-up use of the improved Paediatric TB treatment in countries. On World TB Day this year the Kenyan Ministry of Health launched the MulikaTB!MalizaTB! campaign – (Swahili for “Shed the light on TB, End TB”) – to raise awareness of the disease, which remains a public health challenge in the country. With 250 cases per 100,000 citizens in 2014, Kenya continues to appear on the WHO list of high TB burden countries. Now, NTLD-Program is building on the MulikaTB!MalizaTB! campaign to bring childhood TB to the forefront of the Kenyan response. The aim is to improve the diagnosis and treatment of childhood TB by raising awareness of the issue among health workers and cares givers; to promote the use of child-friendly formulations; and to create sustained public engagement about childhood TB in Kenya through talks and social media campaigns for health workers, care givers and the general public. The NTLD-Program is training government health workers to diagnose TB in children and to dispense the new medicines where needed. Improved methods of collecting sputum, and the use of GeneXpert machines where available are helping the diagnostic effort. Health workers will also offer Isoniazid Preventive Therapy (IPT) to any child under five years of age who has been exposed to TB. According to the WHO, at least 1 million children become ill with TB each year and 140,000 children die of this curable disease. The Unitaid-funded formulations launched across Kenya this week are set to change that.